The (Brihanmumbai Electric Supply and Transport) BEST workers’ recently concluded total bus strike for 9 days has brought back to the city memories of the historic Bombay Mill Workers’ strikes of the 1980s and the Railway Workers’ Strike of 1974. 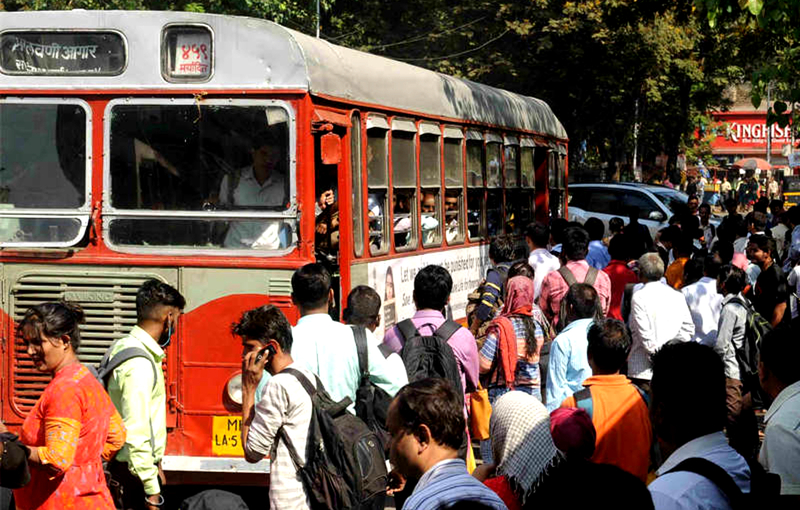 Going beyond mere economic demands of minimum wage, etc., the city’s public bus transportation employees brought to the fore stories and plans of the Government-Corporate nexus behind systematic gutting of Greater Mumbai’s public transport infrastructure. The subversive plans of privatization of public transport using the logic of business, are only going to further accelerate the city’s inequalities, making it even more unlivable and unsustainable in the times to come. A GroundXero report. 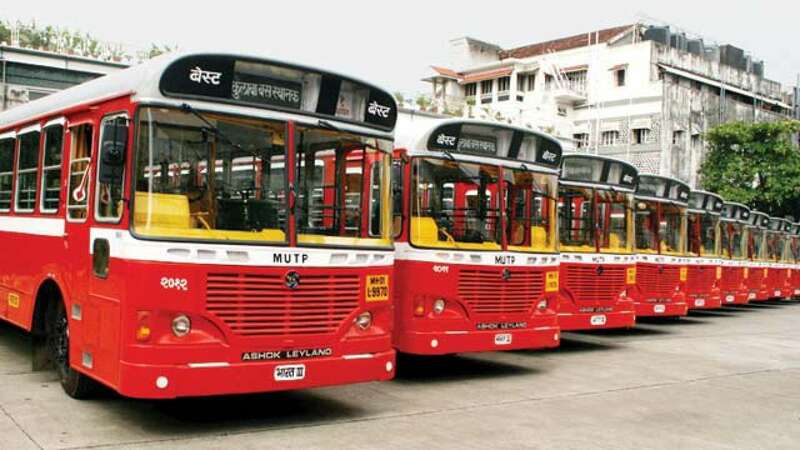 From 8th January to 16th, Mumbai witnessed what is being described as a historic strike by the Brihanmumbai Electric Supply and Transport (BEST) employees, who run the city’s iconic public bus transport network. Over 32,000 BEST employees went on a complete strike for 9 days over various demands, including but not limited to pay hike, revision of pay grade for junior level employees, and merger of loss-making BEST’s budget with that of the Brihanmumbai Municipal Corporation (BMC). However the key frustration was about the city’s push towards privatisation of its transport networks, and a conscious subversive down-sizing of the decades old public bus service by the State Government and the BMC. With the call for the strike coinciding with the Nationwide Workers’ Strike of 8th and 9th January, the BEST employees’ strike itself symbolised the seeming emergence of a new working-class movement in India – one that is beginning to go beyond mere economism (wage hike, etc.) and beyond traditional bureaucratic Trade Unions, onto a direct struggle against the neoliberal onslaught – within 30 years after the Indian economy was liberalised and opened up to private big capital. Last week, the BEST Workers’ Union called off the highly successful strike, after the High Court ordered a ’10-step’ pay hike as an interim measure. BEST authorities agreed to the compromise of 10 out of 20 point hike originally demanded by the union on the basic pay of about 15,000 of its employees from January this year. Incidentally, the employees were forced to agree to a roll back by 20 points, citing losses. But that narrative of ‘BEST undergoing loss’ has hardly changed over the past 7 years. The Court also appointed a mediator, a retired Justice of High Court, to negotiate rest of the issues raised by the striking workers. 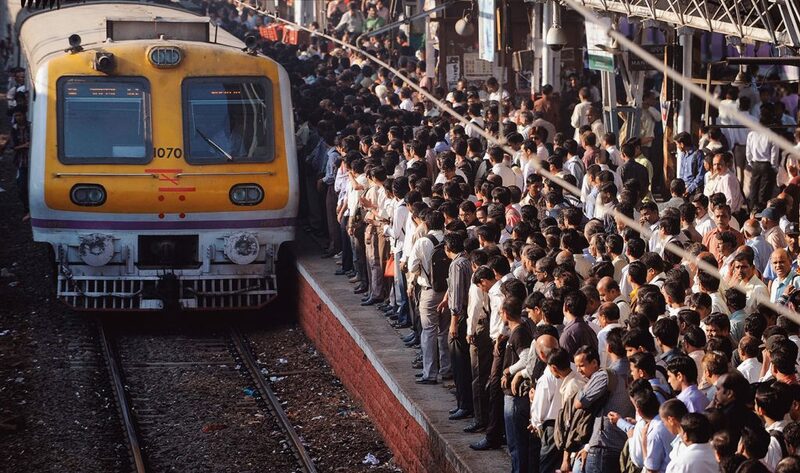 On Friday, the People’s Union for Civil Liberties (Mumbai) organised a meeting to discuss the state of the public transportation infrastructure of the city, and the Government’s policy moves concerning its future. The meeting was addressed by economist and transport policy expert Mr. Ashok Datar, National Railway Mazdoor Union Assistant General Secretary Mr. Vivek Nair, urban researcher and activist Mr. Hussein Indorewala, and Sandhya Gokhale from PUCL Maharashtra. The highlight of the discussion was the city’s obsession with expensive ‘magic wand’ solutions to the ‘transportation crisis’, such as building brand new Metro rail networks and high speed private-vehicle-only roadways, and privatisation and outsourcing of the public transport infrastructure. Over the years, BEST routes and the number of buses have been cut down, as the entire enterprise has been regularly described by the Government as perpetually ‘loss-making’. The number of trips by buses have gone done down by 28% over the last 10 years, with simultaneous surge in the number of 2-wheelers and 4-wheelers. 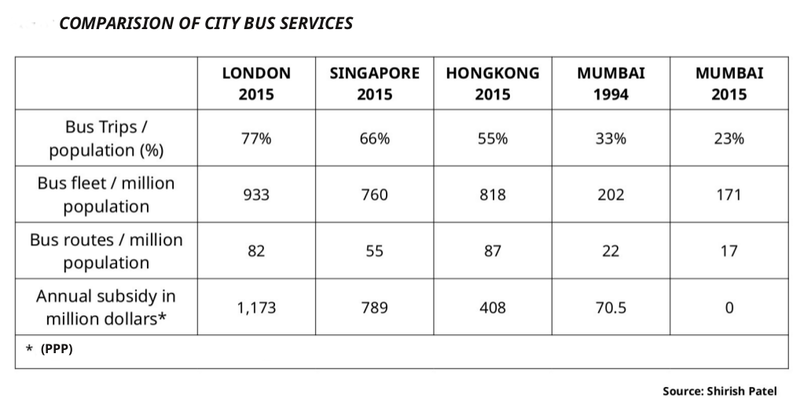 Today private vehicles occupy 77% of road-space in Mumbai, as opposed to 2% road-space occupied by BEST buses. Last 3 years also saw the proliferation of online cab services like Ola and Uber. Although the number of Ola/Uber cabs is still smaller than the traditional ‘kaali peeli’ (Black and Yellow) taxis, their total number of trips has overtaken that of the latter. Mumbai’s suburban railway network has also reached the saturation point of its capacity of transporting passengers, given the current rail infrastructure. Severe traffic jams and overcrowding of the roads with private vehicles has become a daily crisis for the already land-starved city. It is in this backdrop that the new under-construction Metro routes have been touted as the magic wand to solve the city’s transport woes. How justified is the city’s Metro obsession? However, serious doubts have been raised about how much of a ‘solution’ this ‘new infrastructure of the future’ is going to be. Several researchers have pointed out other new age transport projects that have also incurred significant losses, such as Monorail in Mumbai, Mumbai Metro line 1, Delhi metro, etc. Only a couple of days back, the DMRC allegedly proposed handing over parts of Delhi metro to private players, citing high operational costs. Part of DMRC’s proposal is to outsource the operating of the trains to private contractors. Many routes of the Delhi metro have attracted far less commuters than was originally expected. “And Delhi, unlike Mumbai, doesn’t even have any other suburban railway network,” reminds an expert. Regardless of the Delhi experience, Mumbai’s Metro lines investments is projected to go up from Rs 4200 crores to Rs 52000 crores in the next 6 years. Foreign companies such as the Japan International Cooperation Agency (JICA) – who are also funding Modi’s bullet train project – are investing in the Metro project at almost 0 interest rates. Already several metro projects across various cities in the country are running under losses, with very few passengers particularly in the Tier 2, Tier 3 cities [like Jaipur, Kochi, Lucknow, etc]. Even in Mumbai, other than Line 1 [the Versova-Andheri-Ghatkopar line] and Line 3 [the Colaba–Bandra-SEEPZ line], it is suspected that none of the other routes are going to be successful as public transportation. One example of the city’s metro fetish is the proposed line from Borivali to Virar – a route which is already covered by the existing suburban railway line. While Borivali-Virar is indeed a heavy traffic route, and the trains in this line are some of the most crowded in the city, but transportation experts claim that laying extra train tracks and introducing extra trains would be a much more effective and cheaper solution, than a brand new metro line. On being questioned in the court about why the resolution was not put into effect, the Government claimed the resolution never reached them. It is also known that only 37% of the BMC overall budget of year 2018 has actually been utilized. 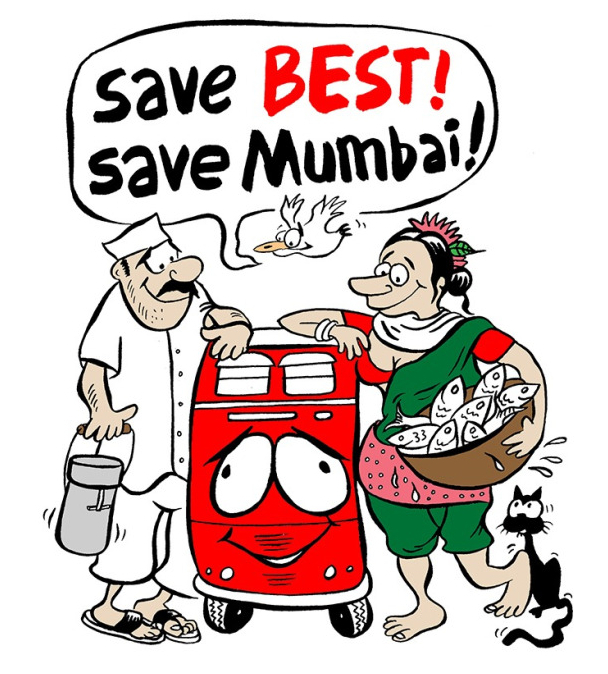 At the same time “BEST is being effectively dried out of funds by the BMC,” claimed an expert. Historically, BEST was conceived of as a so-called ‘cross utility subsidy’ enterprise, coupled with the profit making electricity supply infrastructure. This means profits from the BEST run electricity supply sector were used to subsidize BEST transport system. This model was however discontinued after a 2006 Supreme Court judgment. 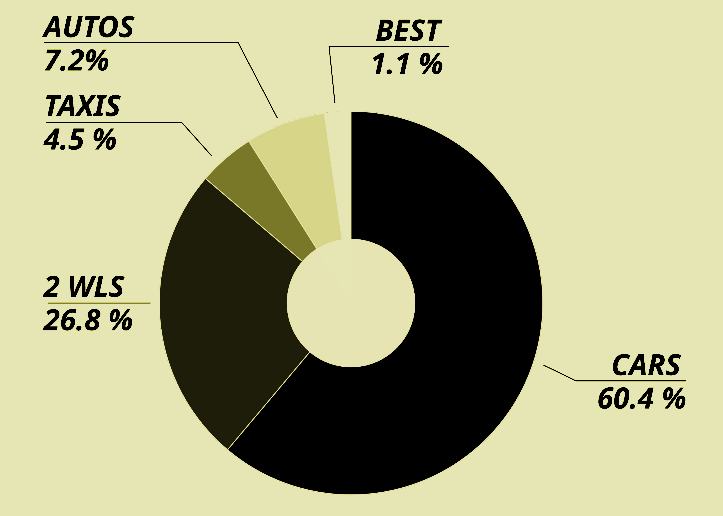 Since 2006, no subsidy has been provided for BEST. Total number of buses have been brought down by more than thousand. Thus while the BMC did buy new buses, the cost was offset by selling off the old ones. An RTI enquiry revealedthat, in fact, BMC paid around Rs 50 lakh per bus, though the market price is Rs 26 lakh (for non-AC buses) to Rs 32 lakh (for AC buses). During the same period on the other hand, Rs 2054 crore was spent on building road infrastructure, and according to estimates, more than 90% of these new roads and flyovers are exclusive for private vehicles. This includes ‘big ticket’ roads such as the coastal highway for which the Government will charge no toll, meaning that all the money will be raised from the common public who won’t even use such roads. “BEST is being seen as a competitor to the increasing car-based private infrastructure development plan. BEST is being downsized into just a feeder service to the impending metro service. The so-called ‘BEST mess’ is nothing but a mess created by the BMC itself,” said Mr. Indorewala. As of latest estimates, BEST buses serve almost 30 lakh passengers per day, making it the second most important public transport service for the city and it’s suburbs. Vinod Nair, Additional General Secretary of the National Railway Mazdoor Union, spoke about the crisis facing the Mumbai suburban railway system itself. The Mumbai train system serves almost 80 lakhs of passengers on a daily basis, making it the 4th largest transport system in the world, transporting commuters at 20paise per km per person. A large part of the city’s working population depends on this cheap reliable train system for their livelihood and sustenance. But even this has come under similar attacks. Large parts of the Railways’ assets are being privatised. There is a proposal to construct a new terminal station at Parel, after shutting down the 150 year old Parel workshop of the Railways. This new terminal will be constructed, operated and managed by private parties. There are also threats on colonies of the Parel workers of being handed over to private companies. But the Government has been claiming that railways are running at a loss, citing so-called ‘operational ratio’ of 103 for 100 rupees. This means operational costs have become more than the revenue generated. “But the Government doesn’t say that the budget has sharply increased because of outsourcing. While the current Railway budget is Rs 1.5 lakh crore rupees, the Outsourcing outlay is Rs 4 lakh crore,” said the NRMU functionary at the meeting. Like the Parel workshop, the Matunga workshop is also allegedly up for sale. The workshop land will be given to the Dharavi Redevelopment Project, essentially controlled by the private real estate companies. Government subsidies have been given to private players with outsourced tasks, when they incurred loss. Allegedly almost 7 lakh workers are working on contract basis with the Railways. There are around 2.04 lakhs vacancies, that included safety posts, like guards, drivers, etc. “Even small level officers are allowed to sign crores of rupees’ contracts, for example when it comes to the recruitment of safaai karmacharis. There is no accountability. It has been made into a decentralized systematized corruption, at every level … People like us who have devoted entire lives to build these public transport systems, are feeling a lot of anguish today,” said Mr. Nair. The BEST workers’ union went across depots for 6-7 months on some of these systemic issues, talking to the workers. They found out that almost 15,000 workers were not getting minimum wages. To gauge the actual mass opinion about a strike among a body of workers the Union conducted a secret ballot, asking how many workers were willing to go on strike. Reportedly 97% of the workers voted “for a strike”. 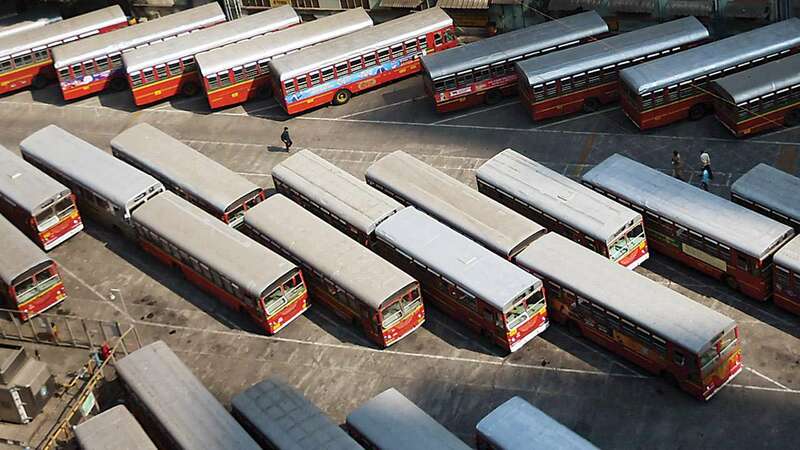 In a bid to save the city’s sabotaged public transport system, over 33,000 employees of Mumbai’s civic transport undertaking BEST went on an indefinite strike since the midnight of January 8. The agitating staff did not take out a single bus of the 3200-fleet of iconic red buses, from any of the 27 depots. The Shivsena sponsored union officially opposed the strike, boasting that they would take out at least 500 buses on road. But they failed to take out even a single bus. The BEST management issued internal circulars, warning employees of stringent action if they participated in the strike, threatening to invoke the Maharashtra Essential Services Maintenance Act (MESMA). BEST management also tried to serve notices to oust the families of BEST workers from the BEST quarters. This historic BEST strike seems to have brought back memories of the Bombay mill workers’ strikes of the 1980s. “BEST property is being sold off to private real estate now. Same thing happened during the mill workers’ strike. Yet another plan is to handover workers’ colonies to the real estate mafia, once everything in BEST is successfully privatised and workers are downsized. The whole attempt is separating Electric supply and transport in two separate companies and then privatize both.,” said Sandhya Gokhale from PUCL Maharashtra. One of the key features of the recent strike was solidarity efforts by concerned citizens and Mumbai civil society. One citizens group called the Aamchi Mumbai Aamchi BEST has been active since September 2017. They ran campaigns highlighting the current state of public transportation system in Mumbai, arguing why BEST commuters should come out in support of the striking employees. Public transport systems are services a State is bound to provide to its citizens. The responsibility to provide the citizens with affordable means of public transportation is one of the ways in which a social contract is signed between the state and its citizens. In many Western cities, public transportation, such as the buses, are, in fact, free. Compared to that, the amount of state subsidies to the BEST in the year 2015 was close to Rs 0. The reason that has been cited is that BEST is a perpetually ‘loss-making’ body and there is no ‘fixing’ it other than rolling back the State from its day-to-day operations, and replacing it with the control of private corporations. ‘Profits’ or ‘Losses’ are however terms that hold meaning when it comes to business, and a “service” is different from a “business.” They have different purposes, and an institution offering public transportation in a city shares similarities with services offered by other service-providing institutions such as schools, hospitals, public transportation, etc. However, the structural reforms in the country in the post-1992 era, have increasingly erased the lines between “business” and “service.” Welfare itself was converted into a rich goldmine for business. What was supposed to be a ‘Duty’ of the State, became primarily a business guided by the profit-making interests of a few big business owners. Further, if ‘profit’ and ‘loss’, ‘loans’ and ‘subsidies’ are to be decided, it is important to account for every kind of profit, every kind of loss and every kind of subsidy. “The economics of transportation must be seen together with the economics of the environment. Why is it that in our profit and loss calculation we always forget to calculate the price nature is also paying for our business deals?” asked one of the speakers at the PUCL meeting. “Private vehicles get huge subsidies in terms of space, in a land starved city such as Mumbai. But the Government only wants to talk about subsidies for BEST. The ratio of vehicle space to road space in Mumbai has gone up from 21% (1998) to 83% (now),” said Mr. Indorewala. “Losses are also made by railways; metro is also going to incur losses. 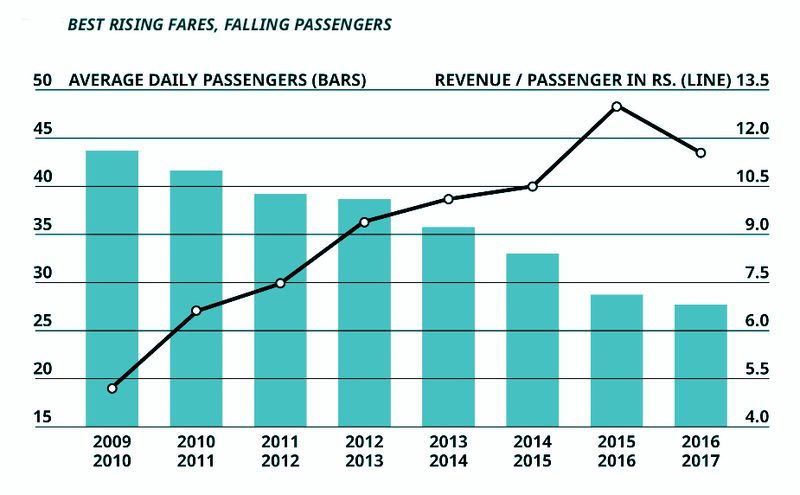 Financially, public transport has always faced ‘losses’,” said Mr. Datar. “The metro obsession is because these are the new markets for metro companies, as opposed to the Western world where for various reasons such the market has dried up and in many places, failed. In fact there should be fast track lanes for BEST buses, there should be regulations limiting private vehicles in busy parts of the city. But exactly the opposite is happening,” said Mr. Nair. Mumbai has essentially a 3-tier public transport system: the buses for the working class in the city, the train system for the working, middle and the business classes, and then the so-called ‘big ticket’ roadways meant for those who own private vehicles, or can rent cabs. The current plans of the Government in refashioning the city’s transportation system is feared to be “further accelerating the city’s inequalities, progressively making it unlivable and unsustainable in the times to come”.